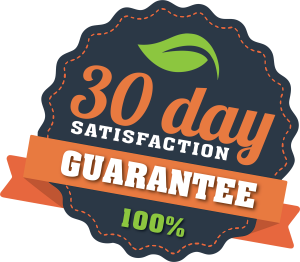 We guarantee the quality and health of the plants we sell for 30 days from the date of the invoice with our No-Hassle, 30-Day Guarantee. Simple as that! If any plant we sell is not healthy or the high quality we expect for interiorscapers, simply notify us in writing within 30 days from the date of the invoice how much credit you are requesting, and we will review the request and issue the appropriate credit. Must be a bona fide interiorscaper. This can be shown by being a registered supporter of Green Plants for Green Buildings, a member of National Interiorscaper Network, or being listed on interiorscape.com. Certain restrictions and exclusions apply. First and foremost, we strongly believe in the quality of the plants we sell. For that reason, we want to show how much we stand behind our plants. We want to take away any fear in ordering plants and give even more reasons to order from Morning Dew, rather than anywhere else. Secondly, we feel like it is the right thing to do. Third, we want to build long-lasting relationships with our customers and we do that by ensuring their success! Claims are expensive in both time and hassle. We hope to be able to save you time because we make it easy. Lastly, because we only sell to members of the trade (read: “people who know plants”), we can have a level of trust with our customers that they know how to take care of plants, they are honest and reasonable, they know the right level of tolerance for quality, and they are able to take responsibility when it wasn’t a plant quality issue. We track every claim and inform the growers when there is an issue. We set internal limits on claims from customers and monitor which growers are having recurring issues – AND WE ADJUST. Bottom line – we know you are getting the best plants from Florida when you order from Morning Dew Tropical Plants! Exclusions: Guarantee does not apply to plants missing or damaged by the carrier (you’ll have to take that up directly with the carrier, but we’ll assist you in gathering bills of lading). Because certain plants are prone to issues in shipping, the guarantee doesn’t apply to them; this means any plants in the flowering category, sansevieria, citrus, hard goods, or any other plant that says “no claims.” Other restrictions apply. Contact your sales rep for full details.